There are some gems that come into your life just by sheer luck. I was looking for a place to eat at during my visit to Victoria for WordCamp Victoria 2012. Since I stayed at the Accent Inns near No, Urbanspoon wasn’t helpful and neither was Foursquare. So what I decided was to go for a walk and found Luca’s Cucina and stayed for dinner. Photo credit: Raul Pacheco on Flickr. 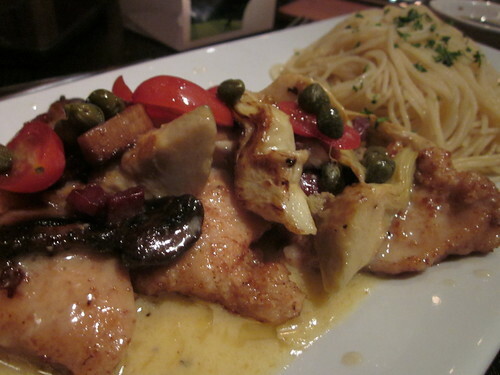 I ordered a Chicken Scaloppine (chicken breast, mushrooms, artichokes, capers, prosciutto, lemon butter, at $17.99 for the dinner-size portion, $14.99 for the lunch-size portion this is the regular price point for medium-to-high-end dinner places). You can read their menu here, which is quite varied. And the funny thing is, I was in Victoria to speak at WordCamp Victoria 2012 and the website for Luca’s Cucina and Taphouse is actually built in WordPress. I would strongly recommend Luca’s Cucina and Taphouse. Personally, I found the staff incredibly friendly, the food was to-die-for (and yes, I know it was oily but heck, I love Italian food despite the artery-clogging that comes along with it!). You should check it out next time you’re in Victoria. Near Mayfair Mall. 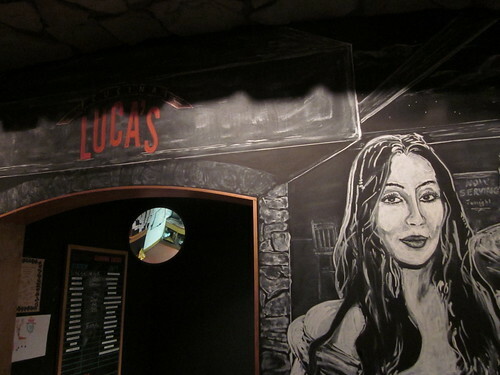 We also enjoy Luca’s and are glad to have such a popular Italian eatery near our Accent Inn Victoria.